This week, we discussed how to enhance our communication tools globally at Online, the parent company of Scaleway. Our goal is to improve the way we interact with you. It is often hard for our clients to understand the differences and similarities between Online, Iliad Datacenter and Scaleway as we have multiple tools to interact with our respective communities. We believe we now need to unify some communication tools to share the news about all of these products with you. We've seen our users have great interest for all our announcements, the technical challenges we face and companies insights. 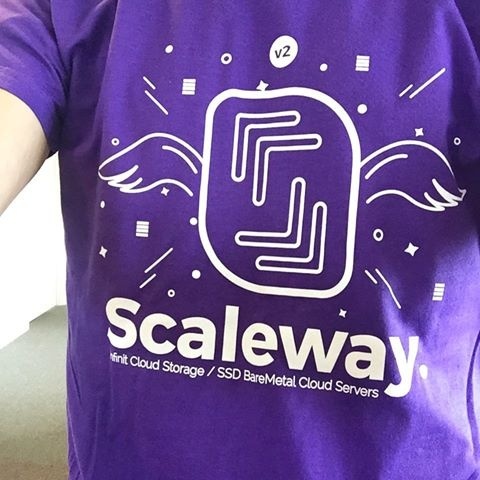 The Scaleway blog is still available via blog.scaleway.com. All brands of Online will get a section on blog.online.net. The Scaleway community platform will be updated pretty soon to welcome new categories for Online, Iliad Datacenter. You will be able to access the community platform via community.online.net. We will progressively discontinue the old Online forum. Twitter accounts for Online and Scaleway do not change. You can reach us @online fr (french) and @online en (english) for Online products and @scaleway for Scaleway cloud services. The status page stays unchanged and is available at status.online.net. We really hope you will love these unified channels and want to thank each of you for your trust. We are really happy to have you as part of the global Online adventure. We're glad to announce the general availability of the C2 servers. We will reach a production of 10 000 BareMetal servers per month in july thanks to the ramp up of the C2 production. Cloud computing is an amazing technology which should be backed by BareMetal servers. Today, we're moving a step forward in this direction. The pricing stays the same as during the preview, with the C2S starting at €11.99 a month. All C2 limits have been upgraded to the new standard quota for C2 servers. If you wish to deploy 100s, 1000s or even more C2 servers, let us know, we will increase your limits! We've been working with the CentOS community to support CentOS on arm since several month and we're proud to announce that we're now able to provide CentOS on both ARM and x86! The C2 is now available in mass production with the same insane pricing as during the preview. We're glad to announce that after seven month of growth throttling, you can now directly signup to the Scaleway platform! You won't wait anymore to try our BareMetal offering, you can signup now! All C2 limits have been upgraded to the new standard quota for C2 servers. 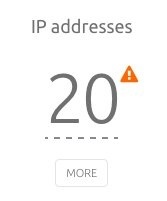 If you wish to deploy 100s, 1000s or even more C2 servers, let us know, we will increase your limits! We've been working to increase our production speed and we are now able to produce over 360 physical servers per day. In june, we will produce over 8 000 C2s to meet the huge demand we have. We plan to ramp up the production to more than 10 000 C2 per month in july. Docker Machine is a tool designed to manage Docker Engine setup on local and remote hosts. Docker Machine does all the host deployment work for you: it provisions the host, installs Docker Engine on them, and then configures the Docker client to talk to the Docker Engines. We now provide a driver for Docker Machine to easily manage all your containers on Scaleway. Docker Machine can now be used to provision all your Docker hosts on our cloud platform! Cloud Riders, we have some exciting news today: our new servers offers are now available! The C2 is now ready and at an insanely low price. Like the C1, this price includes 50GB of SSD storage upgradable up to 1TB per server in a few clicks. 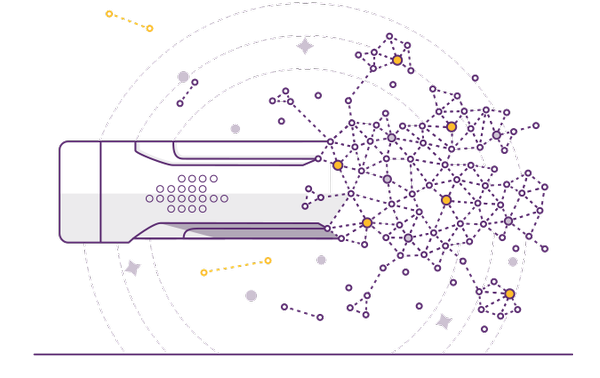 For the first time on market, we're introducing next generation 2500Base-X networking as a standard feature with one 2500Base-X NIC on the C2S and two 2500Base-X NICs on the C2M and C2L, allowing for 5Gbit/s of internal bandwidth. You can get up to 800Mbit/s of internet bandwidth with unlimited transfer, you won't get any bad surprise with bandwidth fees! The C2 server has been designed in our HQ in Paris, it's based on Intel Avoton SoCs for a maximum of efficiency. We're also introducing a new type of SSD on our C2L offer: Direct SSD. Direct SSDs (DSSD) are directly connected SSDs to the server through a SATA port to remove all bottlenecks. DSSDs are made for distributed database or data intensive applications. The C2L comes with 250GB of Direct SSD. Keep in mind that DSSD are tied to the physical server, they will be erased when you stop your server from the control panel.